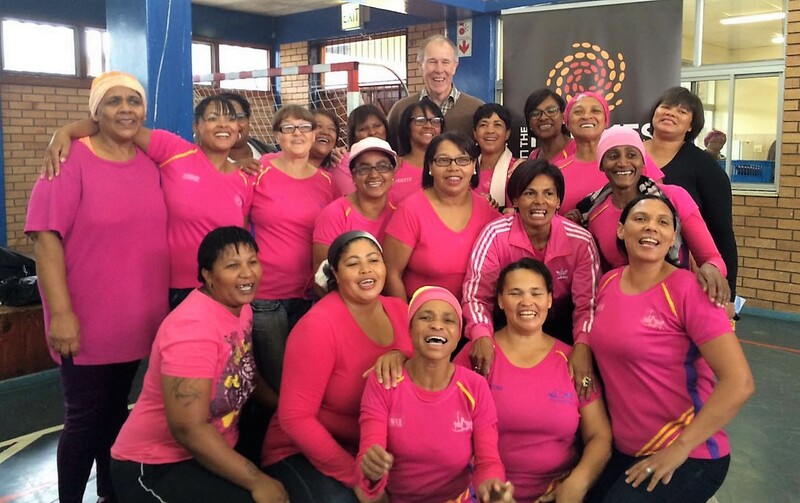 Last week saw the closing ceremony of Eat Better South Africa’s! sixth successful community intervention programme held in Atlantis. The intervention came about through the suggestion of Rita Fernandes Venter, owner of the hugely popular LCHF Facebook group ‘Banting 7 Day Meal Plans’, whose long-time family housekeeper who lives in Atlantis benefited from following the Banting lifestyle. Her changes could be seen throughout the community and soon people were dying to know her secret- and so the Atlantis intervention group was born! The Eat Better South Africa (EBSA) programme lasts six weeks and focuses on educating community members about the dangers of excessive sugar and carbohydrate consumption and coaches group members on how to make healthier food choices by eating real, healthy and affordable food. The programme educates communities on how to overcome sugar addiction, how to budget for and prepare healthier foods, and teaches them about the benefits of following a Low-Carbohydrate High-Fat lifestyle, specifically in relation to issues such as high blood pressure, obesity, diabetes and other insulin-resistance related diseases. Every week the 30 women and one man from the group would meet to listen to an educational presentation by a guest speaker, share their experiences, have their blood pressure, blood glucose and insulin levels tested and weight loss tracked. The success of the programme can partly be credited to the enthusiasm of all group members, especially the group leaders Maryca Du Tout and Sylvia Scholtz who took the dietary changes home with them and converted their whole families to eating healthier, with amazing results! All group members also joined a WhatsApp group which they used as a forum to ask questions, share ideas and recipes, and hold each other accountable. On average the group lost 1,25 kg’s and 14 cm per person, with the ‘Biggest Loser’ being Isabelle Hannie who lost an amazing 3 kgs and 22 cms. But the common consensus around the group was that the most significant change was on the inside- many attested to an increase in energy and improvement in general mood and wellbeing. This intervention marks another indication of the success of The Noakes Foundation’s EBSA programme and highlights the importance of targeting under-resourced communities who often need nutritional guidance the most.